[Tap]: Add [G] or [W] to your mana pool. 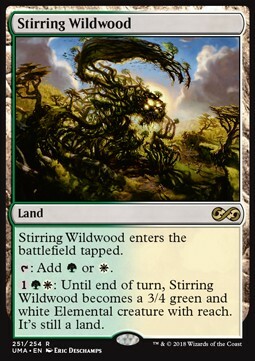 [G][W]: Until end of turn, Stirring Wildwood becomes a 3/4 green and white Elemental creature with reach. It's still a land.